Textile arts are deeply rooted and there are multiple aspects easily practiced at home from spinning and knitting, to dyeing and weaving. My philosophy of teaching is to assist you in following your own path of self-expression and creativity by sharing some of the many skills I’ve incorporated into my artistic practices. Many skills can be taught in just a few hours in my studio. While others can be practiced over a longer period in both my studio and your home with instruction and consultation. All of these skills have applications in the basic fiber arts of daily practice. Weaving instruction is made readily available to non-loom owners and loom owners alike. If you have a loom, I’m happy to come to your location and work with you on your particular loom. You can benefit from my extensive knowledge of loom types and common problems, and from my knowledge of resources for small tools and yarns. I can help you plan a first project, rehabilitate a older loom, or learn a new technique for your 100th project. If you don’t have a loom, you may lease one of my portable looms. My 21 harness table loom offers a great opportunity for learning the basics or advanced pattern play and fits onto a sturdy card table space. My 4 harness floor loom folds and travels in most cars. initial 4-5 hours of warping in my studio for a basic set of cotton runners or dishtowels (an easy first warp). 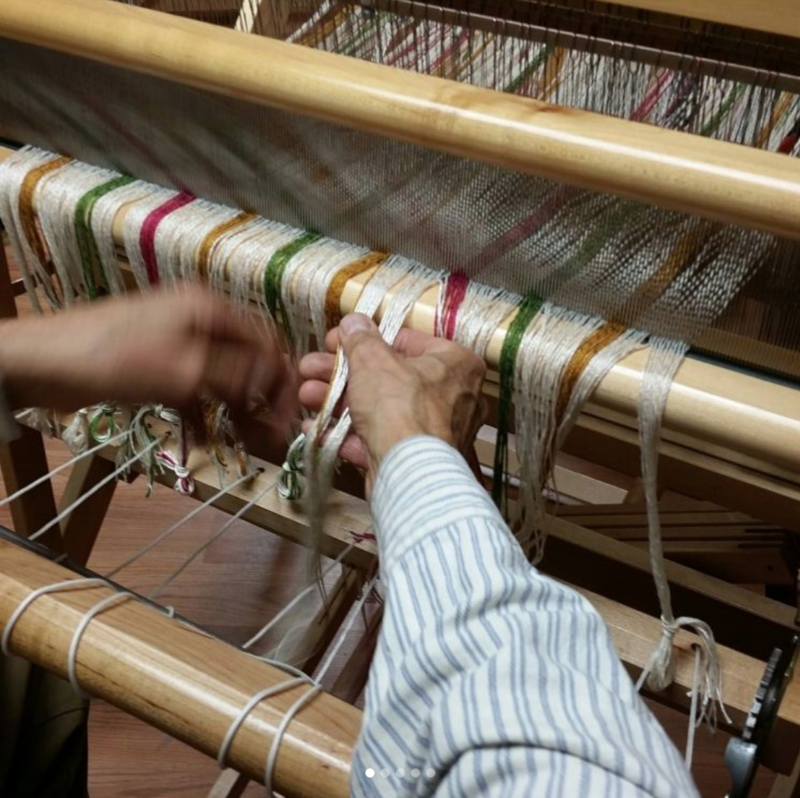 After warping, we pack the loom and take it to your spot where you can weave on your schedule. I’m available for email consulting (no cost) and in extreme difficulty, home visits to problem solve. In this first weaving period, we’ll also plan and acquire your choice of a second warp together. When the first warp is done, I’ll come to you and we’ll cut it off together and discuss finishing practices. But before I leave, you’ll also be warping up your second project. I’ll continue to be available for consultation and problem solving throughout to the extent of the 10 hour instruction. Most students are easily able to complete 3 full projects in the 6 weeks. For a total cost of $600. For intermediate weavers, I can offer instruction on how to get the most out of your 4 harness loom with supplementary warp techniques, pre-and post-loom dye applications, mixed fiber warps, and simple garment construction. All of these dye processes and skills have applications for the basic fiber arts of spinning, knitting, weaving and sewing. Cotton dish towels are a great first project for learning the floor loom. 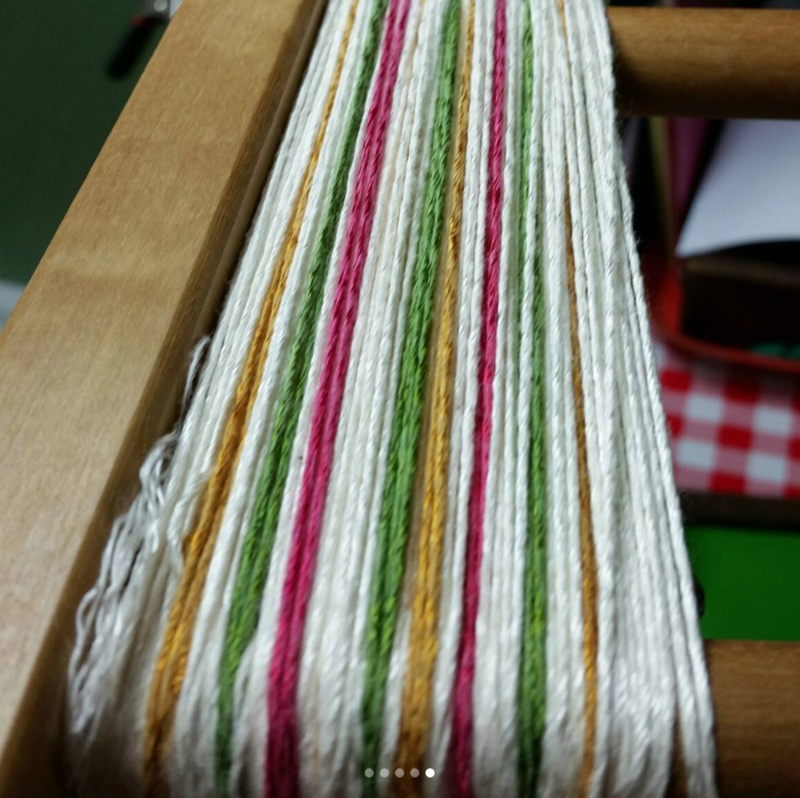 Cotton is a simple to weave fiber and dish towels can be a wonderful playground for color and texture in simple twills. We will focus on basic skills in design and warping on Saturday. Sunday afternoon will find us weaving off the finished and functional towel. 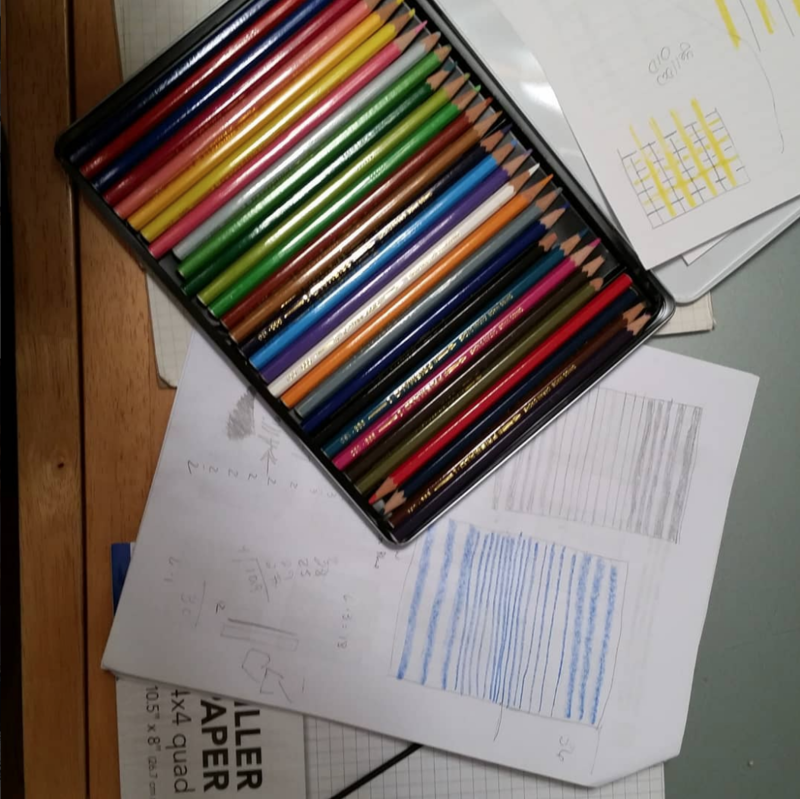 Students will have a choice of colors for their design.